Shanghai’s skyline is a symbol of the changes in China. Constructed entirely over the past 35 years, it’s been featured in numerous films and is home to the second-largest building in the world, the Shanghai Tower. We’ll be back in Shanghai in a few days for a longer stay. 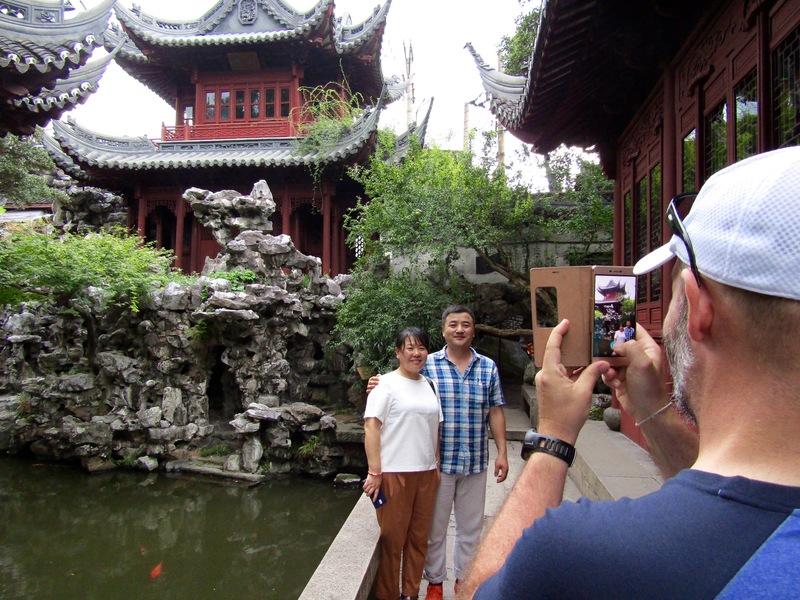 The Yuyuan Gardens in Shanghai’s Old Town combines traditional Chinese architecture with feng shui principles. Outside, we were bombarded by local vendors. The garden was originally constructed during the Ming Dynasty, beginning in 1559. It took 18 years for the garden to come to maturity and be considered complete. The garden was heavily damaged during the Opium Wars in the mid 1800s, but has once again been restored to its original state. … And a reciprocal act of kindness.